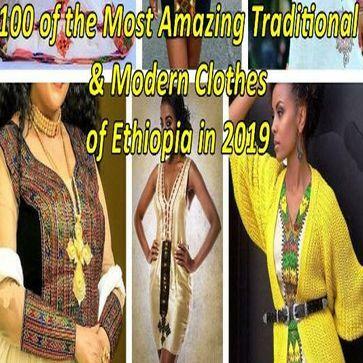 Ethiopia as an ancient country has its own unique tastes and cultural inclinations. One that stands out is the Ethiopians love of spices. Almost all the food and drinks taken by Ethiopians in their daily routine consists of one or more spices, herbs, etc. Ethiopia’s spices have a sort of mysterious nature about them, as they are not commonly found around the globe. The various spices, herbs and roots Ethiopians use are mostly endemic to Ethiopia and it appears as if only the Ethiopians themselves possess the key that unlocks its many benefits. Today, with many Ethiopians living abroad, there is a large and growing market for exporting spices, as they still show an avid interest in the spices of their childhoods. Ethiopians have been cultivating spices and herbs for a very long time now and the dedication and skill taken to prepare them is evident in the final product. The country today produces as much as 50 spices of the 109 spices that are listed by the ISO or the International Standard Organization for Standardization. Ethiopia is now mainly cultivating spices on a very small scale compared to her other agricultural products. The systems are all rain fed and cultivated from the wild, hence one could say that almost all Ethiopian spices are organic. This has helped them market their spices on the international market as the West has become very interested in healthy foods and spices. Spices and herbs have many applications, some of which are as a natural ingredient for the food industry, as well as being used by the cosmetics and pharmaceutical industries. These spices are commonly used throughout Ethiopia for medicinal, as well as, for culinary purposes. Ethiopians believe that the food one eats holds the key to healthy living and should be prepared and handled with care. Some of the spices and/or herbs have specific properties that help to cure a variety of ailments. But as with any medicine, one should conduct the necessary research before taking anything that they are not experienced with. Recently, unfortunate news was heard about the banning of Ethiopian red pepper spices by the European Union. It turned out that unscrupulous traders were adding water to the product after purchasing them from the farmers in order to have the weight increase. The adding of water caused the level of toxins to increase, one of these toxins is known as aflatoxin. The European Union said the spices had incredibly high levels of the toxin and returned the product to Ethiopia. This caused a huge embarrassment for the country’s spice sector but helped to increase Ethiopia’s vigilance in protecting the quality of spices in the future. Furthermore, companies are now negotiating directly with the farmers, in the hope that they can control the quality of the product from source to market.